Ann Arbor Township real estate is located in Michigan’s Washtenaw County. The first settlers began arriving in the area in 1824, and one of the founders of the township, John Allen, named the town after his wife, Ann. During the 19th century, multiple mills, a general store and a tannery were erected, which contributed to the economic development and growth of the area. In 1833, the area became an incorporated village and the village council later applied to become the state capital, but the application was rejected. Just a year later, the township’s application to become the site of the University of Michigan was accepted and this development, along with the establishment of the Michigan Central Railroad through the city in 1839, transformed Ann Arbor into a booming industrial and travel hub. Since that time, Ann Arbor has become a major medical, research and education site with more than 25 research centers and libraries within township limits. Ann Arbor Township real estate is nestled in the heart of shopping and dining districts that are the equal of big city living. The Briarwood Mall is one of the most popular shopping centers for Ann Arbor residents and residents of the smaller surrounding townships. 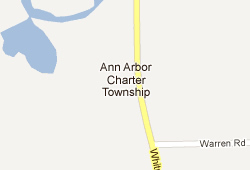 Major chain shopping options in Ann Arbor include Ann Taylor LOFT, Abercrombie and Fitch, Kohl’s, JCPenney and Target. For a more local feel residents shop at stores like the Poshh Boutique, a women’s clothing store carrying the latest fashions. After a long day of shopping at the mall and at free-standing department stores like TJ Maxx, a sit-down dinner at one of the more than 250 full-service restaurants in Ann Arbor is the perfect end to the day. Local favorites include Zingerman’s Deli, Sadoko sushi, The Chop House, West End Grill, Mediterrano and Grizzly Peak Brewing Company. Many major restaurant chains have also made Ann Arbor home, including Buffalo Wild Wings, Qdoba Mexican Grille and Red Robin. Ann Arbor Township real estate sits amidst hundreds of acres of land that have been developed for the purposes of living and education, and for the enjoyment of the area’s natural resources. Multiple parks in the township offer walking paths, hiking trails, picnic grounds, playgrounds, soccer fields and other recreational activities to residents every day of the week. First Sister Lake, Second Sister Lake and Borden Pond give residents access to fishing opportunities and other water recreation. Ann Arbor is also a booming center for educational recreation and places like the Hands-on Museum, Kerrytown and the Nicholas Arboretum, all of which provide residents with fun learning opportunities. At the height of Ann Arbor’s development in the 19th century, Kerrytown was a booming business district and now serves as an outdoor historical museum that attracts hundreds of visitors each week. This area is also home to a Farmer’s Market and multiple shops and other recreational activities. The average value of a home or condo within Ann Arbor Township real estate at the beginning of 2012 was $198,500. The township has already been recognized as a favorable vacation spot and pit stop for travelers on multiple occasions. Residents in Ann Arbor work in many different industries and the majority of residents are employed as post-secondary teachers at the University of Michigan, science and tech professionals at one of the many research facilities in the area or in a healthcare profession at one of the local hospitals or at the clinics located around the University of Michigan. Ann Arbor Township is located a short 33.5 miles from Detroit and nearly just as close to the Canadian border near Windsor in Ontario. For residents who want to visit a haven for the arts and crafts, Ann Arbor is just 2.7 miles from Ypsilanti, Michigan’s own art space town. Ann Arbor Township real estate is effectively positioned for those families with children who want a variety of schools from which to choose. There are seven public high schools, five public middle schools and five public elementary schools in Ann Arbor servicing the township’s children. There are also multiple private schools within township limits that cater to different religions, learning styles and special talents. Easy access to medical care is available to residents at the University of Michigan Hospital, the St. Joseph Mercy Ann Arbor Hospital and the VA Ann Arbor, all located within township limits. 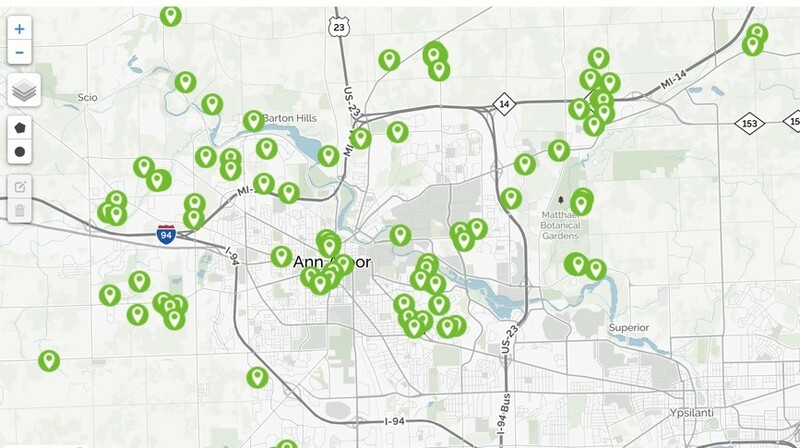 Most residents of Ann Arbor Township have a commute less than 20 minutes to work and although many residents drive alone, a near equal number carpool or utilize other alternative modes of transportation. CLICK "VIEW ALL AT BOTTOM OF FRAME to see more than the First 50 Listings. If you are thinking about buying Superior Township real estate or selling a home in Ann Arbor,, Milan or Saline, give us a call at (734) 996-0000 or send us an email to explore your options and to find out when is the best time for you to make a move.